Zimbabwe, which gained its independence in 1980, is a landlocked country in southern Africa and has a population of around 13 million. According to the United Nations, over 70% of the people live below the poverty line and life expectancy is less than 40 years. AIDS is widespread. The prevalence is an estimated 15%, with around 1.2 million adults being HIV positive. About 20% of children have lost one or both parents to the syndrome, leaving the country with over a million AIDS orphans. Every week about 2,500 people die from infection. Such figures have a profound effect on the country in every respect, especially on the economy, society and the very fabric of family life. One-third of the orphans live in orphanages, but the remaining two-thirds live with relatives or other adults and it is often difficult for them to go to school on a regular basis. The Zimbabwe AIDS Orphans Society is a Finnish voluntary organisation with neither political nor religious affiliation. For over 25 years, we have been running a programme in Zimbabwe that supports the education and well-being of some 400 orphans and other vulnerable children in Dzivarasekwa, a poor suburb of Harare. We have built a community centre for the children where they can enjoy a daily hot meal, do their homework, receive tutoring, learn computer skills and take part in cultural and sports activities. 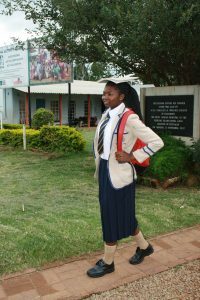 In Zimbabwe the programme is run by our local partner, the Dzikwa Trust Fund. In Finland, operations are entirely volunteer-based. Practical programme delivery is in the hands of the two Finnish founders, Seppo Ainamo and Oili Wuolle. Other volunteers and interns are also closely involved. For details, visit finances, audited accounts and latest financial reports. What better gift than a better future! PayPal-tilin avulla voit helposti tehdä lahjoituksen!